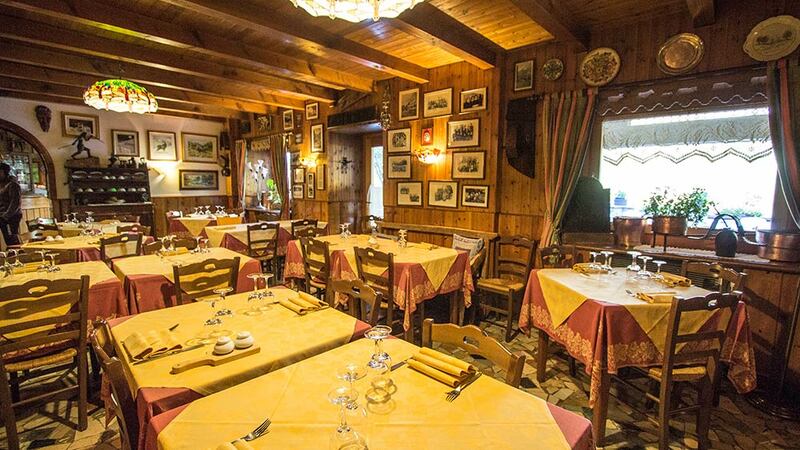 The restaurant, open to the public, consists of two separate rooms furnished in traditional mountain style. Guests can also benefit of a splendid terrace which is available for lunch and for bar service during the day with a view of the Mont Blanc chain of mountains. Built in the first half of 19th century, the hotel has always been welcoming wayfarers. An English tourist guide written back in 1898 mentions it, praising its panoramic view and its warm welcome. 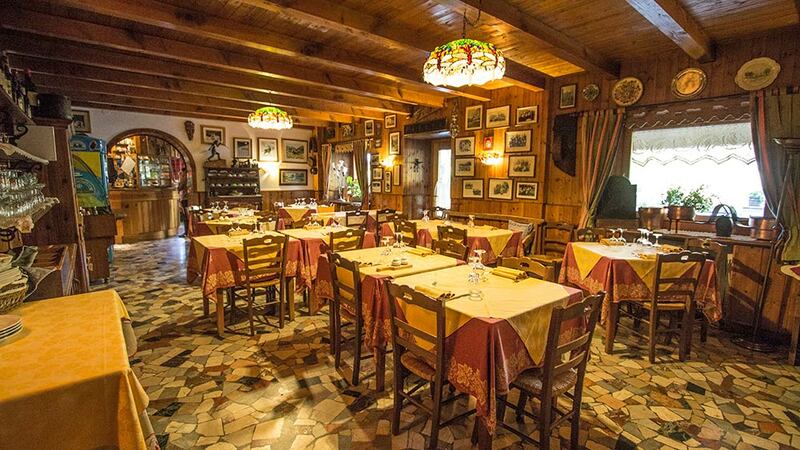 In wintertime, cross-country skiers and hikers gather at our self-service restaurant offering dishes based on polenta, the main traditional dish prepared with corn flour, and a wide range of sandwiches. During the Summer season, our restaurant offers a wide range of regional and Italian products and dishes as well as a complete selection of wines. The host thoughtfully pairs the food with chosen wines, especially locally produced ones. In high season, particularly at weekends and in August, we recommend to book in advance. We offer personalised menus for banquets and large groups upon request. 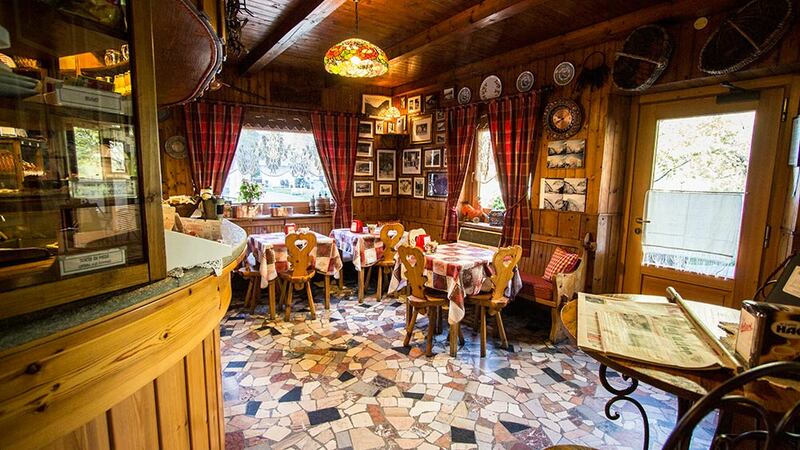 In wintertime, cross country skiers and trekking lovers gather at our self service restaurant offering polenta, the alpine traditional specialty, and a wide range of sandwiches. Plain polenta or polenta valdostana with veal cutlets in a white wine sauce. Insalatissima: olives, egg, thunafish, mixed salad, carrot, tomatoe, parmesan shavings.